Information about the package is as important as the package itself. We learned that modules are files containing Python statements and definitions, like function and class definitions. We will learn in this chapter how to bundle multiple modules together to form a package. A package is basically a directory with Python files and a file with the name __init__.py. This means that every directory inside of the Python path, which contains a file named __init__.py, will be treated as a package by Python. It's possible to put several modules into a Package. 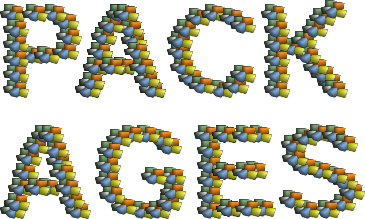 Packages are a way of structuring Python’s module namespace by using "dotted module names". A.B stands for a submodule named B in a package named A. Two different packages like P1 and P2 can both have modules with the same name, let's say A, for example. The submodule A of the package P1 and the submodule A of the package P2 can be totally different. A package is imported like a "normal" module. 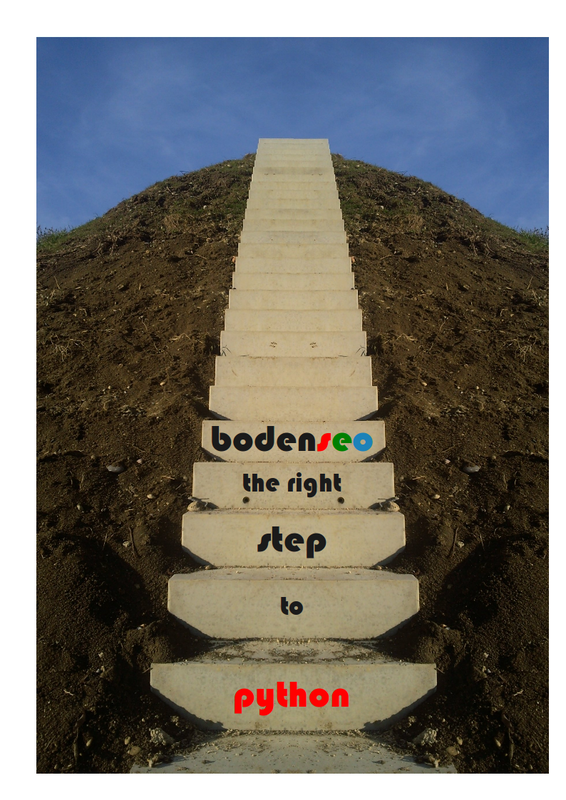 We will start this chapter with a simple example. We will demonstrate with a very simple example how to create a package with some Python modules. First of all, we need a directory. The name of this directory will be the name of the package, which we want to create. We will call our package "simple_package". This directory needs to contain a file with the name "__init__.py". This file can be empty, or it can contain valid Python code. This code will be executed when a package will be imported, so it can be used to initialize a package, e.g. to make sure that some other modules are imported or some values set. Now we can put into this directory all the Python files which will be the submodules of our module. We create two simple files a.py and b.py just for the sake of filling the package with modules. We will also add an empty file with the name __init__.py inside of simple_package directory. As we have seen at the beginning of the chapter, we can't access neither "a" nor "b" by solely importing simple_package. sound package is getting imported! effects package is getting imported! It is possible to have it done automatically when importing the sound module. For this purpose, we have to add the code line import sound.effects into the file __init__.py of the directory sound. This is the sound package, providing hardly anything!""" formats package is getting imported! This is the effects package, providing hardly anything!""" filters package is getting imported! Module karaoke.py has been loaded! Funktion func1 has been called! 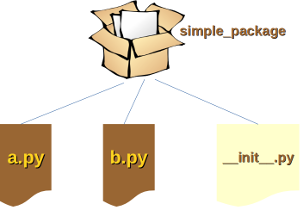 Python provides a mechanism to give an explicit index of the subpackages and modules of a packages, which should be imported. For this purpose, we can define a list named __all__. This list will be taken as the list of module and package names to be imported when from package import * is encountered. Module echo.py has been loaded! Module surround.py has been loaded! Module reverse.py has been loaded! Although certain modules are designed to export only names that follow certain patterns when you use import *, it is still considered bad practice. The recommended way is to import specific modules from a package instead of using *.